Vertigo cannabis seeds from Paradise Seeds is another successful autoflowering cannabis strain from the Dutch auto specialists. This one has been bred from a carefully chosen hybrid and then selected over three generations for taste, potency and speed. Vertigo weed is easy to grow and a good choice for novice growers due to her low maintenance cultivation. Vertigo weed pretty much grows herself, leaving you to get on with the other things in your life. At around nine and a half weeks from seedling this is a fast finishing strain and a good choice for people in a hurry. Vertigo cannabis fills that short time with lots of growing though, and regularly tops out at over 40 inches tall. 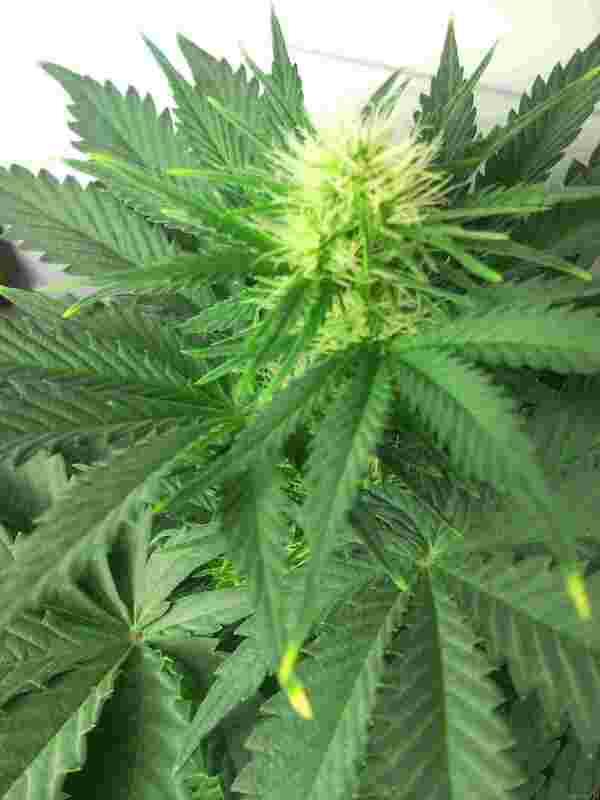 Yields from Vertigo marijuana can be good, she likes a lot of light and outdoor grows in sunny climates will produce the best. Having said that, she delivers well indoors too. With THC levels of up to 18% coupled with high CBDs, Vertigo cannabis has a powerful effect. Just a few tokes of her intensely fruity/citrus smoke can deliver a strong body stone that is lethargic and long lasting. Vertigo cannabis will be of interest to commercial growers, medicinal marijuana patients and connoisseurs alike. Great weed. Why buy Vertigo Weed Seeds?